This is hot as in "Caliente". This is a bold statement of what your kitchen or "cantina" has to offer! This will surely add a lot of spice to your restaurant fiesta atmosphere. 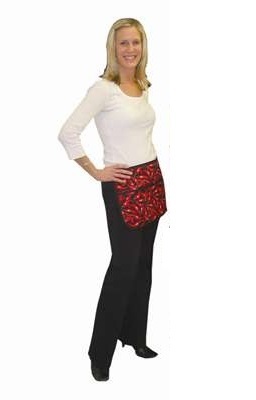 Our quality style designer bib apron measures 28"W x 12"L and features 3 center pockets.